Is your bonce protected? Every good traveller has a great hat, and there are few greater than a Tilley. A brand new addition to the Canadian travel brand’s range is the Wanderer, a sturdy cotton hat that’s designed to offer protection from the sun and much, much more. The Wanderer looks old, and that’s the point. A weathered finish to the all-cotton construction gives the look of a hat that’s been places. We’re not sure about that, but such is the quality that it’s about to go places, for sure. On the inside of the Wanderer is a pocket big enough to store a passport. We’re not sure we’re brave enough to do that – what if it blows away? That could happen, though there is a shoe-lace attached to keep it around your chin. Aside from that pocket, the Wanderer offers a few useful features. UPF50+ sun protection rating is excellent – as high as it gets – and proved its worth in the deserts of Oman, where it was put through its paces in blazing sunshine. Worn on a hike, it got sweaty, but remained relatively dry and airy. Good job. You can beat-up the Wandered pretty good. Folded, stuffed into a back pocket, it pops-up in more-or-less the same shape as it started. This won;t go on forever; an old Tilley hat of ours is not what it was after five years of being folded and rammed into a backpack. But we’re happy with the Wanderer’s shape after two weeks away. There are poppers on the sides of the Wandered to pull-up the side-rim, though we’re not entirely sure that’s a look we want. 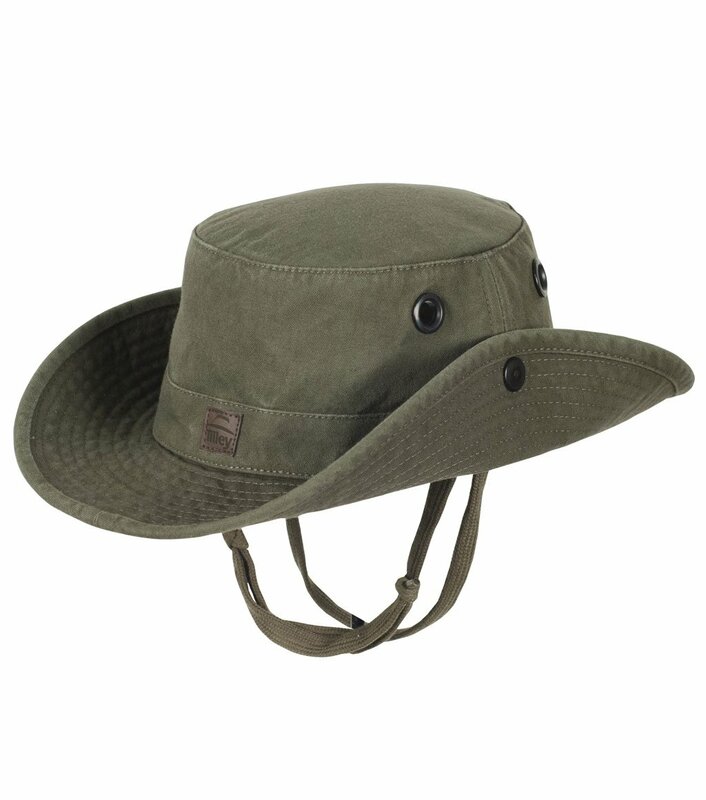 However, the Wanderer is hard to fault; hats off to Tilley on making its best travel hat yet.